Poster featuring an illustration of the Statue of Liberty as a woman in Lady Liberty garb, who is pointing sternly at the viewer. 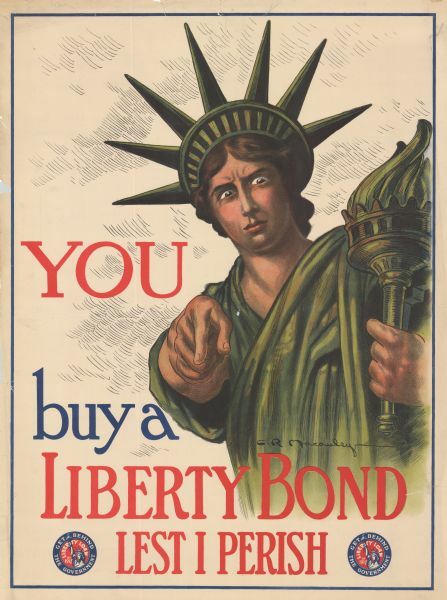 Poster text reads: "YOU buy a LIBERTY BOND LEST I PERISH." Includes the seal of the Liberty Loan of 1917 campaign.